As a WJCU listener, you play a crucial role in helping us bring live, non-commercial content to the greater Cleveland area and the world. 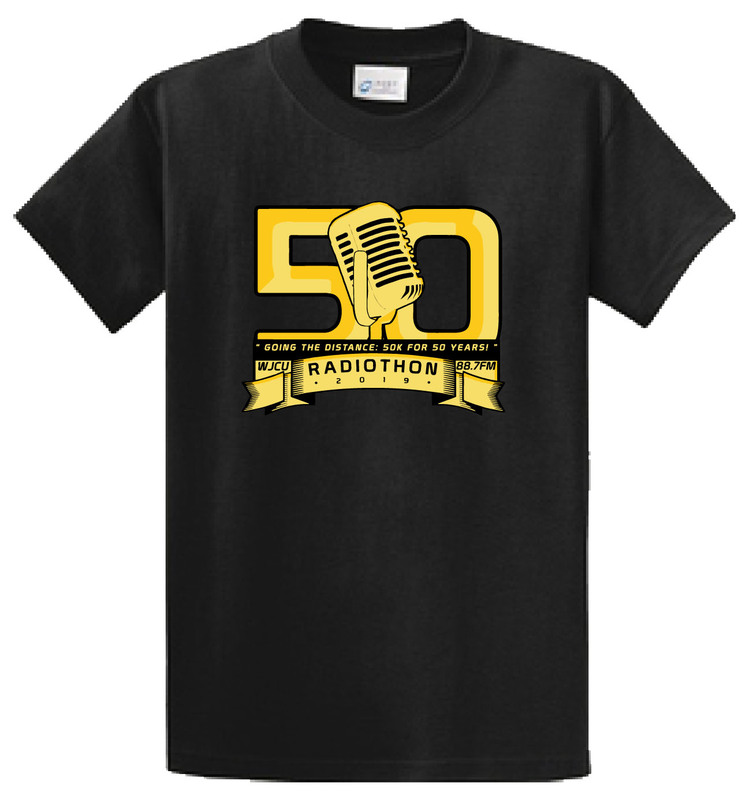 We’ve covered quite a distance already over our 50 years on the air, and during our annual Radiothon this week, we ask you to help us run our latest marathon by pledging your support with a modest donation. Every penny of your Radiothon donation is used by WJCU to meet ever-increasing technology and operational expenses. The only way we can keep WJCU going (hopefully for another 50 years!) is with your financial support. Help us go the distance by donating today! Everyone pledging at the $10 level or above will receive a thank you and acknowledgement letter from the WJCU staff that serves as a donation confirmation for tax purposes. Above the $10 level, we have a number of selectable premiums. These gifts are not cumulative—you will only receive the premium at the level you select. Style out your car with our new WJCU logo car magnet or your key ring with our ever-popular WJCU bottle opener keychain. Can’t choose? Donate at the $50 level to receive both. Show-specific items: Certain DJs will announce a special item only available when you pledge during their shows. If you’d like a special item from your favorite show, be sure to listen this week and phone in! Your can have both! Sport our classic logo on your car and jazz up your key ring with our WJCU bottle opener keychain! New! Limited edition! 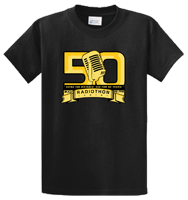 A black Gildan DryBlend 50% cotton / 50% poly T-shirt, specially designed for Radiothon 2019. Full-sized graphic in gold on the front. Sizes S – XL. 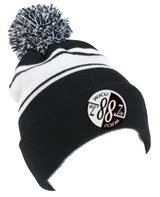 Stay warm this winter with our exclusive WJCU black and white beanie hat—complete with a pom! 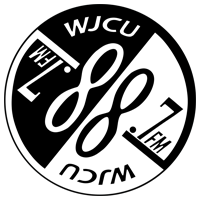 Join your favorite WJCU personality on the air for one hour! This is only available for some shows. Tune in this week to find out if your favorite show is participating—the host will mention the guest appearance if it’s available. We need your help to reach 50K this year and stay in shape to begin our second 50 years. We greatly appreciate your help in making Radiothon 2019 a success and keeping WJCU on the air for years to come!